This relatively short river, extending only 10 miles from top to bottom, is arguably the “most productive” salmon river on the west coast. 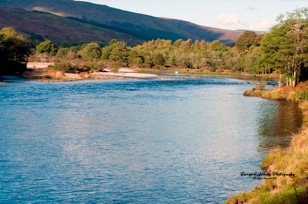 It certainly boasts some of the heaviest MSW salmon in Scotland, with fish regularly into the 30’s and even bigger. 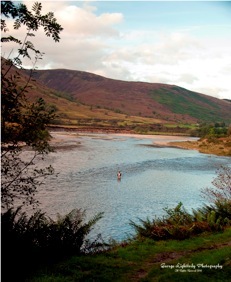 With its scenic splendour , panoramic views, mouth-watering pools, glides and riffles and fresh salmon and grilse coming in on every tide , it is no surprise that this river was once “dead men’s shoes”. However this year there are some PRIME weeks on offer and now could be the time to get in. 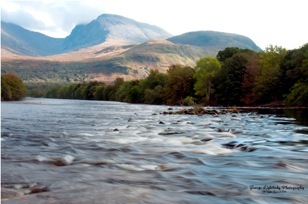 The Lochy management have wisely ignored the entrenched and dogmatic anti-hatchery approach that has been allowed to dictate too much fishery management in Scotland in recent years and have been running an intensive smolt programme to boost rod caught numbers. This brought a welcome boost to overall spawning numbers last year with grilse up to 11lbs falling to the rod (all smolt release fish may be killed and are identified through a missing adipose fin). Several hundred extra salmon and grilse will run the river this coming season from this programme, especially as the smolts last year were treated against sea lice infestation prior to release. It is therefore a much anticipated year on the river.